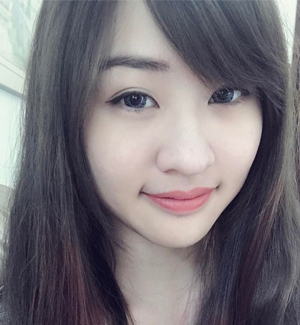 Time for weekly post! I'm pretty sure I've been posting quite a few lip products these days and yes, I'm going to post another review on the lip balm that I've received quite some time ago. Read through some friends' blogs and they went to Rohto ChuLip launch event. I was curious with the shape and now that I have one, it's pretty cool to show you guys what it looks like. Rohto ChuLip is a flavoured lip balm. It is originated from Japan and if you are pretty much into Manga or Anime, you will know what does "Chu" meant in Japanese. For those who don't, "Chu" means kiss in Japanese. The name pretty much says it all, a lip product that gives you a kissable lips. 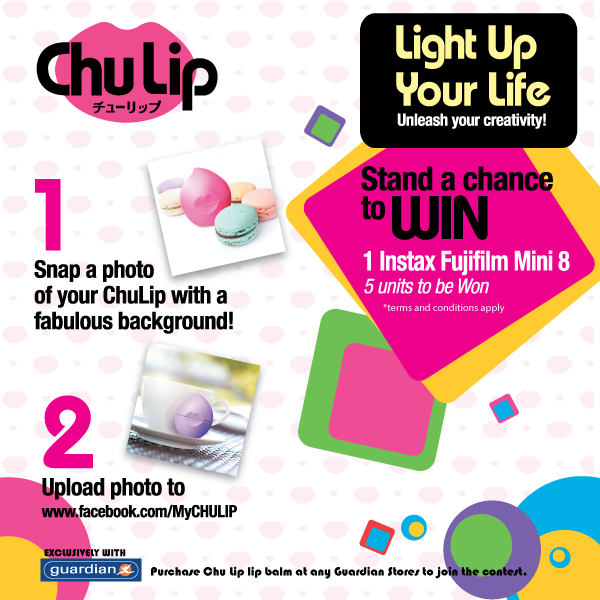 ChuLip is available in the market with the following colors: Red, Purple, Pink and Green. Yellow and Blue ChuLip are not available in the market currently. Each ChuLip symbolizes different personality with different scent too. Red symbolizes New York, a way to be brilliant and dazzles with the powerful fruity scent of Apple, Ginger and Tea Rose. Purple symbolizes Arabian, where you can experience the magic spell of flower scent of Rose, Germanium and Clove. Pink symbolizes Paris, where you can find perfect memories and feel the eternal love with a mixture of Raspberry and Peach scent. Green symbolizes a Nordic's nostalgia for entering the world of fairytale surrounded with refreshing scent of Orange, Lime and Mango. 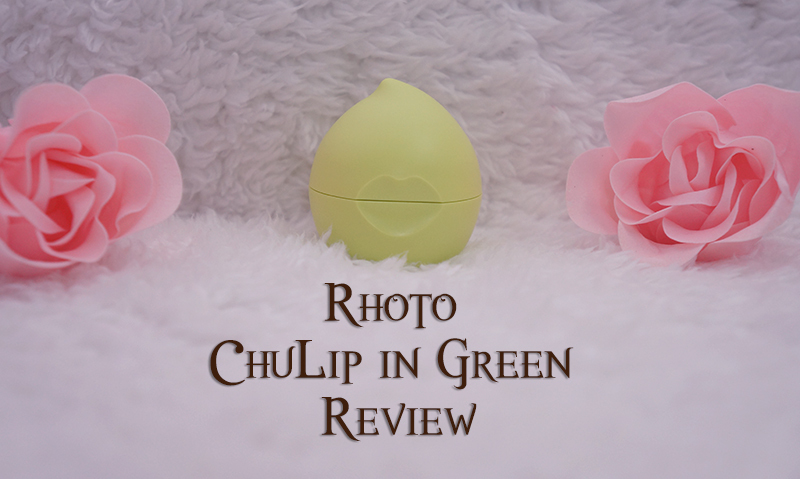 I received the green ChuLip and here we are, a short post on this adorable lip balm. This is how the lip balm looks like in the packaging. 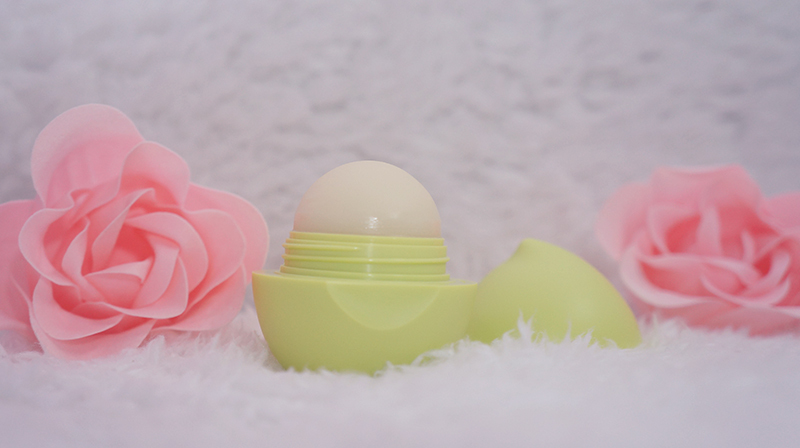 It is not a colored lip balm and it gives a very fruity scent on the lips. Here's an image to show you the before and after of using the ChuLip. 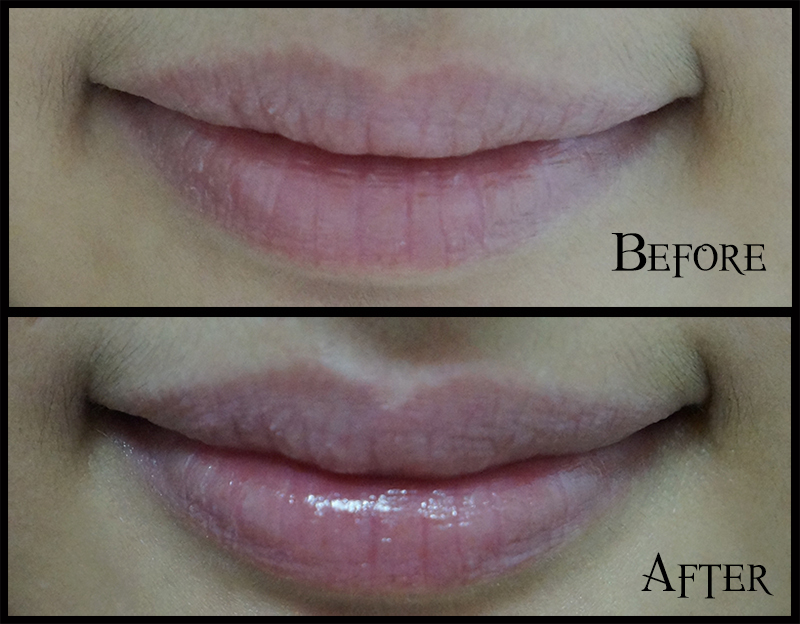 The lips are moisturised and looks smoother after the application. I like the packaging design very much. It is very cute and fashionable at the same time. I like the concept whereby the colors differentiate the scent and personality. I'm not a fan of lime and orange but the ChuLip that I received does not smell too sourish. It does moisturised the lips however, the greasiness stays for quite some time and I personally do not like that feel. I'm pretty amazed that the lip balm glides easily on lips compared to the Burt's Bees Beeswax Lip Balm. If you love to use different types of lip balm and in love with cute packaging, you can definitely choose ChuLip as it won't fail you in terms of packaging and scent.